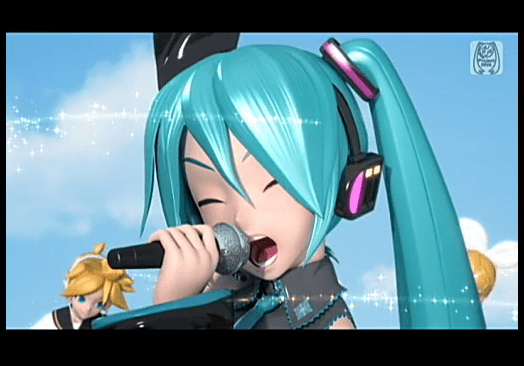 Project Diva 2nd OP, Dreamy Theater Update & Hatsune Miku Taiko no Tatsujin DS: Dororon! Note: Updated on May 27th 2010 with more info on “Dreamy Theater”. Sega has posted the OP sequence of Project Diva 2nd! It is as amazing as the screenshots seem! The song is “こっち向いて Baby” part of ryo’s new single “こっち向いて Baby／Yellow”; which releases July 14th. The game releases July 29th! You can order them from sites such as Amazon. And now for some Project DIVA “Dreamy Theater” updates, according to SEGA this addon for PS3 will be released on June 24th at a price of 3,000 yen. The DLC will be compatible with your save data as well as the latest music packs, “Miku Uta Okawari” and the upcoming “Okawari, Rin-Len-Luka”. Also, the new My Best playlist feature will allow the player to select their favorite songs and PVs for viewing. 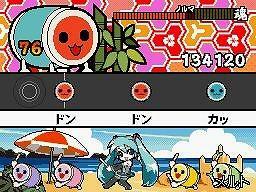 In other game related news, “太鼓の達人DSドロロン！ヨーカイ大決戦！！” (Taiko no Tatsujin DS: Dororon! Yokai Daikessen!!) for the DS will feature Miku! As seen above Miku is not only going to dance but there will also be Miku songs! One of the mentioned songs is “Melt”. I hope this comes to America since I own a DS and not a PSP. DSs aren't region protected. 😛 Don't need for it to come to America. I exploded when I saw the opening. I LOVE YOU SO MUCH LUKA. LOL, the trailer for PD2 is like freaking K-ON! or something. Melt was on the previous arcade version (Taiko no tetsujin 12) and the current arcade version (Taiko no tetsujin 13) has Melt and World is Mine.